Pakistan Electric Power Company (Pvt.) 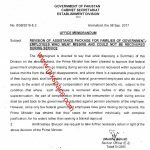 Limited, Office of the General Manager (Human Resources) has issued Notification No. 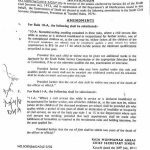 GM(HR)/HRD/A-693/2261-99 dated 03-07-2015 in connection with Employment of Children of an Employee Who Die In Service Irrespective of Cut-off-Date & Quota. 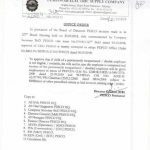 According to this letter, Approval of BoD PEPCO is hereby conveyed that only one child of employee who dies during service will be given job irrespective of quota and any cut-off-date. Accordingly the date viz 13-06-2006 as given in this office order No. GM (HR)/HRD/A-548/2843-80 dated 10-04-2009 is deleted. 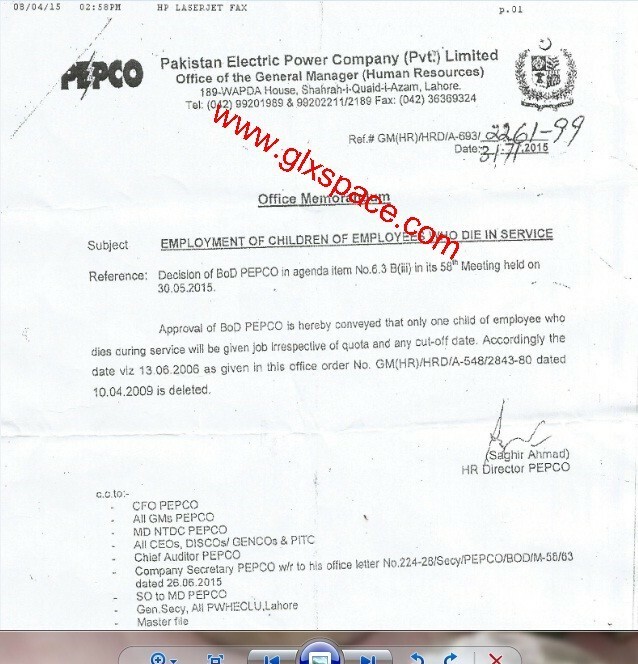 The job will be granted to the child of the employee of PEPCO without any restriction of the date of death. 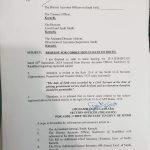 It means that child of the the employee who died before 13-06-2006 is also eligible for the job. Special thanks to Ch.Masood Nasir Sandhu for sending the copy of the Notification. My father is constable in special branch sukkur my father was died in 14-09-2016 in on duty during service. iam his big son and apply on special branch sukkur but no any response to 4 months what i can do now please help me. 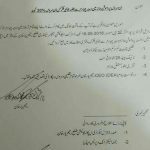 i have cnic domical C.I.T and diploma computer and full ducament. My father was SDO in WAPDA and died during service in 1983. I am 40 years of age and i am disabled permanently due to an incureable disease since my childhood. Can i get the job on employee's son basis? Or pensions? I am the only son, mother also died. If a daughter gets job n wants to leave that post then her brother can get this job to support his family???? Dear Iram Qureshi, I think yes but under the rules. My father has been rendered FROM Wapda Service on Date 1-2-1994 is services as senior clerk under the XEN T.L Div Wapda Dadu Sindh. Request for the post of sub station Operator and Laboratory Assistant On Son Quota. I Am Asim Hussain Qazi S/O Nazeer Hussain Qazi. mere father KDA mai the 2006 ko unju services puri hoi.. mai ne apply kiya huwa hai bhut bar... mera hosakta hai..
my father was an SDO in wapda aur unki 2 saal pehlay death ho gyi hai according to this policy agar mai BSC Electrical engineering kar lu to 4 saal kay bad mughay apnay father ki post mil sakti hai kiya ? is ke liye 10-A act aur 17-act mojod he. DEAR MADAM AOA.PLEASE LET ME CLEAR THE COMPLETE MEANING OF THIS NOTIFICAION. 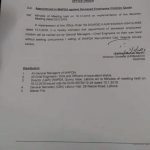 ONE OF MY FRIENDS FATHER DIED IN SERVICE IN 1998 IN HESCO.HIS ONE SON WAS ALREADY IN WAPDA ON SON QUOTA.WHEN MY FRIENDS APPLIED FOR DEATH QUOTA OF HIS FATHER,HIS APPLICATION WAS REJECTED THAT HIS BROTHER WAS ALREADY ON SON QUOTA.PLEASE LET ME KNOW WHETHER ON THIS NEW NOTIFICATION HE CAN GET JOB OR NOT.WHAT IS MEANING OF IRRESPECTIVE OF QUOTA AND CUT OF DATE.. Sorry dear LAL KUMAR I am not confirm. With assistant commissioner. He has died. me ye pochna chahta tha k mujy kis age tak job mil sakti hy Deceised cote me?? Dear Ali Sardar I am not confirm but I think you can get the job under standard age rates.